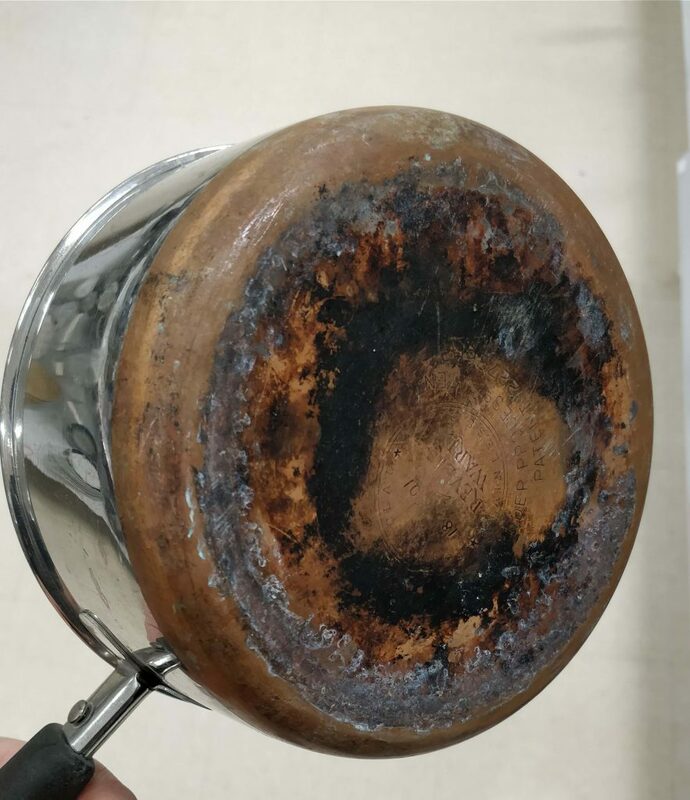 Customer Phil sent us photos of his unique Revere Ware sauce pan, the second one of this type he has seen. It has the process patent stamp on the bottom but has the handle of the post-1968 type cookware. From my experience owning some 100 different Revere Ware pieces, and looking through thousands more on eBay and in thrift stores, I’ve never seen one of this type, so they must be pretty rare and unique. My only guess is that perhaps this was an intermediate prototype that was developed internally to Revere Ware during the period of the transition, and taken home by an employee. Anyone else have any unique pieces they want to share with the Revere Ware community? Please contact us and send us some pictures. 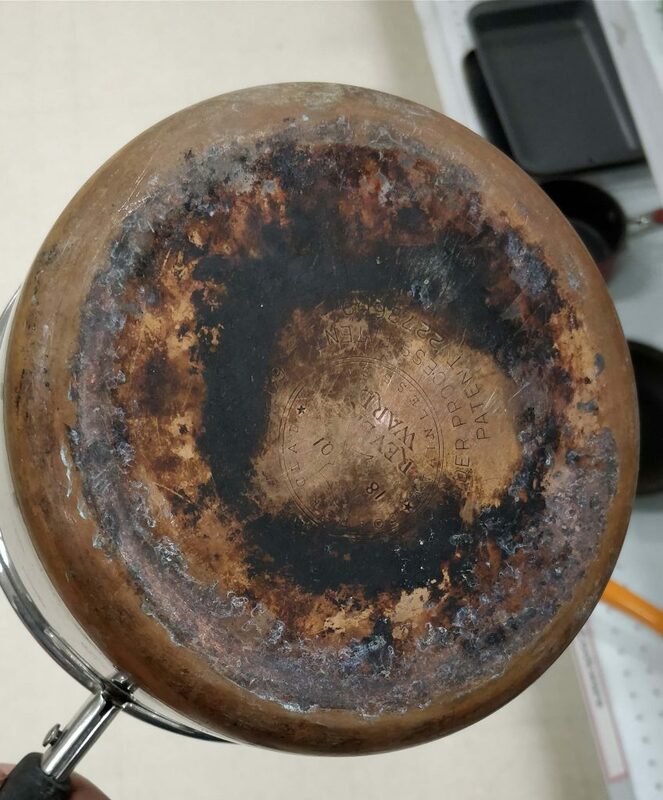 I have a few of these same type of pans and skillets, I have a six inch skillet that has the post 68 hallmark with a pre 68 handle. As the reply indicates, Revere Copper and Brass probably didn’t want to waste the engineering tryouts and shipped them to the retail stores.